Knee sleeves are a vital part of any serious basketballers kit. This review will give you valuable insight into the best knee sleeves on the market, as well as what you need to consider when choosing the most suitable one for you. 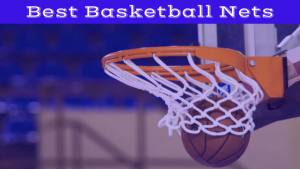 It will also provide a list of the top-rated basketball knee sleeves, one to avoid, and which ones are most commonly used by your favorite NBA basketball players. McDavid 6446 Hex Padded Compression Leg Sleeve Review: The McDavid 6446X is a great option for preventing knee injuries. A major benefit of this knee sleeve is that, as well as strengthening your knee joint, it also has a padded section around the knee to prevent injuries from falls. Basically, it acts as both a compression sleeve and a knee pad at the same time. It is made from high quality materials, comes in a variety of colors, and fits tightly around your leg. Overall, this product has everything you need, which is why it’s considered one of the best knee sleeve for basketball. VIPER Compression Sleeve Knee Pads by VIPER Performance Labs Review: The Viper Compression Sleeve Knee Pads is a relatively similar product to the McDavid. It uses HyperFlex technology to allow for maximum flexibility, and also has padding on the knee. An inner silicone strip ensures that the pad will remain in place throughout your game, unlike inferior products, which have a tendency to slip down your leg. Another benefit of this product is the low cost, as it will not break the bank. Shock Doctor Ultra Knee Supporter with Bilateral Hinges Review: The Shock Doctor is the best product on the market for athletes returning from serious knee injuries. The increased support provides great stability for your knee joint, ensuring that your recovering knee is protected from many of the rigors of basketball. A product like this is unsuitable for athletes looking for knee injury prevention, but for anyone with a history of knee injuries it is a very worthwhile purchase. Knee Brace Arthritis Pain Relief Knee Support Heavy Duty Neoprene Sport Compression Sleeve by ActiveGear Review: This is a unique product in that it acts as a hybrid, combining the benefits of a compression sleeve with the benefits of a knee brace. It looks and feels similar to a compression sleeve, meaning it still allows for normal flexibility in your knee. It differs, however, in that it is much thicker than a normal compression sleeve, and so provides greater support for your knee. This means you get the comfort of a compression sleeve, and the added support of a knee brace, all in the one product. Nike Pro Combat Knee Sleeve Review: Any product from Nike is always going to be high quality, and this is no exception. This product is focussed largely around comfort, with the lightweight material providing breathability and warmth, while still allowing freedom of movement. It also provides good support for the joint, and, as with all Nike products, looks great. Overall, a great purchase. McDavid 6440 Hex Padded Knee Sleeve Review: If you are the kind of player who loves getting down on the floor, diving for loose balls to get your team that extra possession, this is a great product for you. It serves predominantly to protect your knee from injuries arising from hard falls. It also provides some protection to your knee joint, though this is less significant than in other compression sleeves. Available in pairs to allow you to protect both knees, this is the best knee pad on the market. Crescendo Athletics Knee Sleeve Review: This Crescendo Athletics knee sleeve is a comfortable and effective way to protect your knee joints. Crescendo has used neoprene in its production, which means they have been able to keep it as thin and lightweight as possible. Despite this, it still offers great protection, meaning you get the dual-benefit of both comfort and protection. Essentially, this has everything you need in a knee sleeve. McDavid 429X Hinged Knee Brace with Cross Straps Review: Like the ShockDoctor, this is a great option for players recovering from a serious knee injury. It provides support for the entire knee joint, ensuring your recovering knee is protected from awkward movements, which may have the potential to cause damage. As with all knee braces, mobility is reduced slightly when wearing this product, but if you have a history of knee injuries, this is a small price to pay for the protection it offers. COOLOMG Long Knee Sleeve Review: The COOLOMG Long Knee Sleeve is a great value option, offering both support and affordability. Available for the player on a budget, this is a great option for athletes not wishing to spend too much money on a knee sleeve. In terms of quality, it still provides good support and protection for your knee, and it also comes in a range of different colors. This product does have the tendency to wear out quickly, but given the extremely low price this is still a great buy for many players. TD Industries Knee Compression Sleeve Review: This highly rated knee sleeve excels in the support it provides for your knee. TD Industries have gone to great lengths to create maximum protection, and this product manages to work in a similar vein to a knee brace, while maintaining the lightweight and comfortable design of a compression sleeve. It is also relatively inexpensive, so you can ball out on the cheap. Pure Support Compression Knee Sleeve Review: The final product on this list, the PureSupport Compression Knee Sleeve is here for its overall effectiveness. Put simply, it provides good support, is comfortable, and won’t slip down your leg. On top of this, it is very affordable, and won’t break your waller. This is a very solid product. BioSkin Knee Compression Sleeve Review: Simply because this sleeve lacks the comfort of other similar products, it’s the one to avoid. Though the support it provides is comparable to other products, there have been many complaints by people who have been unable to get this sleeve to consistently remain in the desired position. This is problematic enough that you should avoid this product; regardless of the support it provides, if it won’t stay where it’s supposed to, it will be more trouble than it is worth. The most pertinent factor when selecting your knee sleeve is to ensure it is going to minimize your chance of injury. This is its primary purpose, so the sleeve needs to provide good support. At the same time, however, it needs to be comfortable. You don’t want anything so tight it will stop you getting around that last defender on a dive to the hole. Many knee sleeves also have knee pads to allow you to go all out for a loose ball without worrying about your knee, and this is another useful characteristic. A knee sleeve that continually slips down your leg can prove more hassle than its worth, so ensuring that you choose the right size is vital. Finally, the cost of the knee sleeve needs to be considered. Support: support is probably the most important thing you need to consider when choosing your knee sleeve. Without support, they serve little purpose other than to make you look good, and while this may be important, it is not necessary to buy a knee sleeve to achieve it. This is why the first factor you need to consider in your choice is whether the sleeve will noticeably enhance resistance around your knee joint, and limit the chance of injury. Size: size is another major factor to be considered, and the main reason for this is comfort. A knee sleeve which is too big is going to continually slip down your leg, and will be far more trouble than it is worth. Contrarily, a knee sleeve that is too tight is going to cause discomfort, and in extreme cases could result in a lack of blood flow through the leg. This will distract you from your game. Comfort: another important consideration, comfort is intuitively intertwined with size, as a knee sleeve which doesn’t fit properly will not be comfortable. Size is not the only thing that impacts on comfort, however, with different brands and types of knee sleeves offering different benefits. This is largely to do with the materials they are made of. For example, some people may prefer a knee sleeve which is particularly light, while some may enjoy the feeling of warmth certain sleeves can provide. Cost: as with everything, cost is worth thinking about. The good news is, most knee sleeves aren’t going to break your bank, but it is still important to determine what is a good deal and what is a rip off. The cheapest knee sleeves for basketball that you’ll be able to find for around $10USD, while the most expensive ones will start to creep past $50USD. Compression sleeves: Compression sleeves are there to prevent you from getting an injury. Essentially, they provide a little piece of extra stability, which can be the difference between an awkward turn resulting in minor discomfort, or a serious knee injury. Think ankle taping – compression sleeves serve a pretty similar purpose to this. Knee pads: In contrast, knee pads are mostly used for protection against impact. If you play basketball at any sort of competitive level, or even just socially, there’s a fair chance you’re going to hit the floor while scrambling for a loose ball, or that your knees may make contact when standing up to take a charge. Whether you’re playing on a concrete outdoor court or a hardwood indoor floor, this can hurt. Buying knee pads is like taking out an insurance policy against this pain – you hope you don’t need them, but if you do fall, its nice to know they’ll look after you. Braces: Braces are similar to compression sleeves, but with a little more stability. These are more commonly used when returning from a knee injury, to ensure there is very minimal chance of the joint moving in a way that it isn’t supposed to. Rarely are these used in a purely precautionary role, given the impact they can have on your ability to move at 100%, but they are a great choice for someone returning to the game after an injury. 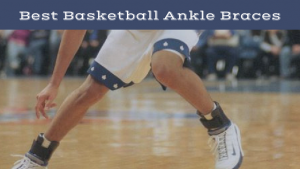 Check out this article if you’re looking for the best basketball ankle braces for the season ahead. 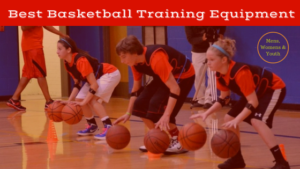 The Purpose of Knee Sleeves: Knee sleeves for basketball serve a number of purposes, but the most important one is to look after your knees during a game. They can act as a preventative measure, minimizing your chances of a knee injury even if you’ve never had one before. They can also act a rehabilitation device, firming up the area after its been damaged. As well as this, knee sleeves can provide protection from a fall, ensuring you won’t be picking your skin up off the floor after a big skid. Many players may never need a knee sleeve, but even in the absence of a history of knee injuries, it can be nice to know you have one. Certain knee injuries can result in very long-term layoffs, and can be difficult to come back to. Considering the minimal cost of these sleeves, they are certainly worth it to minimize the chance of you hurting yourself. McDavid USA: McDavid was founded in 1969 with the creation of one of the first protective knee braces. Continued technological developments and a focus on sleeves and braces have made McDavid a leader in the field and produce some of the best knee sleeves for basketball. Today, they supply knee sleeves for NBA superstars such as Dwyane Wade, Harrison Barnes, and DeAndre Jordan. Nike: Founded in 1964, Nike has steadily grown to the point where it is now worth almost US$30 billion. As the runaway leader in sporting apparel, Nike is able to sponsor some of the best athletes in the world. For this reason, players like Kyrie Irving and Lebron James can be seen running around Quicken Loans Arena decked out in their Nike knee sleeves. UnderArmour: UnderArmour is a relatively new sports apparel company, having been founded just over 20 years ago, in 1996. By sponsoring young athletes with significant potential, UnderArmour has been able to develop into one of the biggest sports companies in the world. Stephen Curry is by far the biggest claim to fame for the company in terms of NBA players, and he proudly wears his UnderArmour knee sleeves out on the floor. Dwayne Wade: Dwyane Wade is one player who is never seen on the court without compression sleeves on both legs. Wade had a meniscus removed in 2002, and has had chronic knee issues ever since. For this reason, it is understandable why he feels the need to protect his knees as much as possible. Lebron James: Lebron is another player who is rarely seen on court without one of the best knee sleeves around. One of the most durable athletes in history, Lebron has never suffered any serious knee injuries. For him, these are clearly more of a precautionary measure. Magic Johnson: One of the greatest players of all time, Magic Johnson regularly wore knee pads while playing basketball. This was more common during his era than it is now, despite the physicality of todays game. Derrick Rose: Following his MVP winning 2010-11 campaign, the career of Derrick Rose has taken a somewhat underwhelming path. Largely, this is due to the ACL injury he suffered in 2012, and subsequent knee problems he has suffered since. It is understandable that he now plays with knee sleeves, providing a little bit of extra protection for his vulnerable knees. Paul George: In 2014, Paul George suffered one of the most horrific basketball injuries in living memory, when he broke his leg on the base of the basketball ring. After a lengthy recovery process, the Indiana Pacers superstar is now back to close to his best form. While the injury was to his lower leg, and not his knee, he still routinely plays with knee sleeves. Perhaps it is largely for peace of mind, but it is understandable that George would want all the extra protection he can get for his legs. The best knee sleeves for basketball serve different purposes for different players. For some, knee braces are a necessity to look after their knees after a serious injury. Others may wear knee pads to prevent abrasions from contact with the floor, while some wear compression sleeves for a bit of extra protection. It would be safe to say there are some who wear them purely as a fashion statement. Whatever the reason, they can act as an extremely useful accessory for all basketballers, helping to keep you on the court for longer.